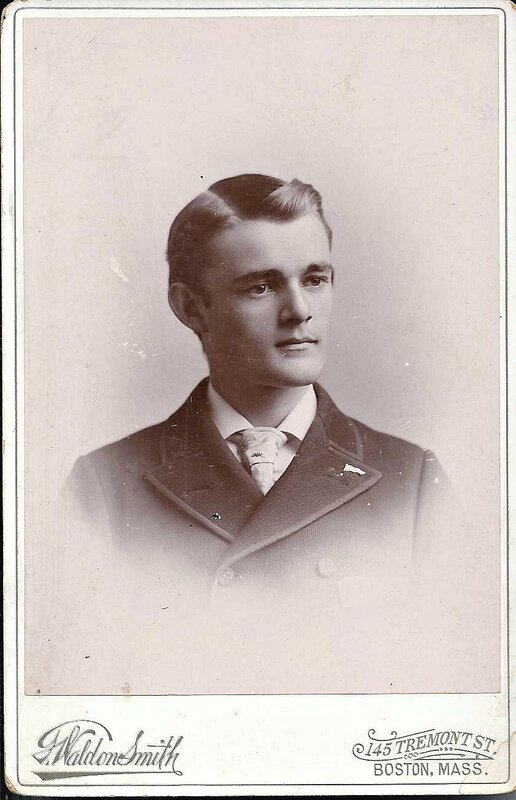 1894 Graduation Photograph of either George Munroe Gage Nichols, or Charles Howard Nichols, who were students in the same class at Haverhill High School, Haverhill, Massachusetts. 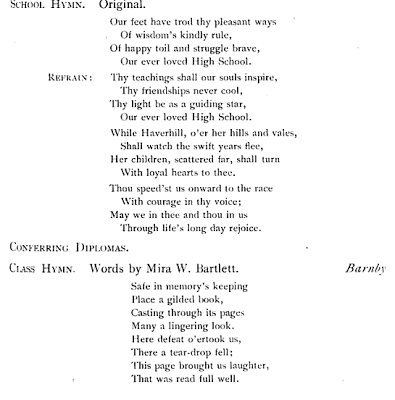 Records show Munroe and Monroe for George Munroe Gage Nichols, but Munroe was the spelling used in his graduation notices from Haverhill High School and Harvard College. If you recognize the young man in the photograph or if you can decipher the initials, please leave a comment or contact me directly. Thanks! Consensus at this point is that the photograph is of George Monroe Gage Nichols. 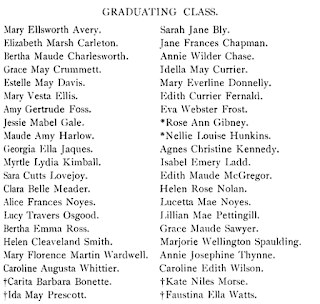 The photograph was found with those of five other 1894 graduates of Haverhill High School. 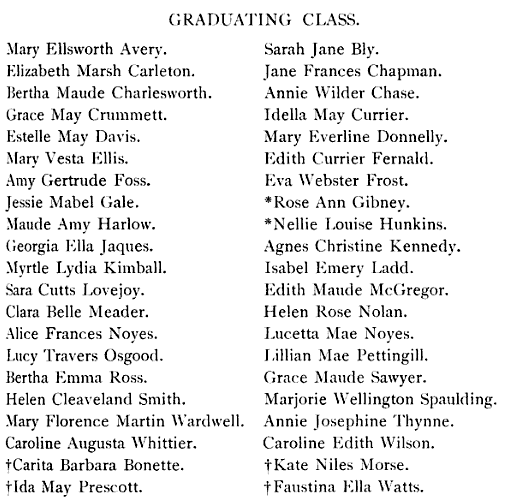 The other students are Bertha Maude Charlesworth; Amy Gertrude Foss; Jessie Mabel Gale; George E. Hutchins; and Lillian Mae Pettengill. Click on the name for more information on that individual. 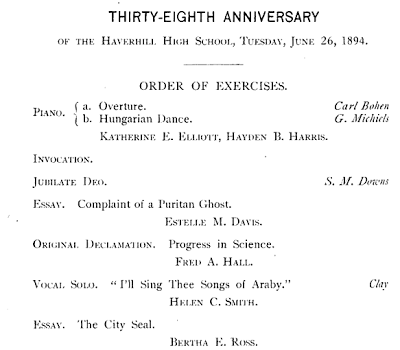 The graduation program for the Class of 1894 of Haverhill High School appears at the end of this post. George Munroe Gage Nichols was born 2 April 1876 at Haverhill, Massachusetts, son of William Munroe Nichols and Sarah Gage (Kimball) Nichols, both Haverhill natives. George's paternal grandparents were John and Julia A. (Case) Nichols. His paternal grandparents were Herman and Cynthia (Merrill) Kimball. The "Gage" in George's name and his mother Sarah's name came from Sarah G. (Kimball) Nichols's paternal grandmother Sarah Gage, wife of Asa Kimball. At the graduation ceremony, George gave an original declaration entitled "The Power of Eloquence". After graduation from Haverhill High School, George entered Harvard College. He graduated with the Class of 1900. He then entered Harvard Law School. 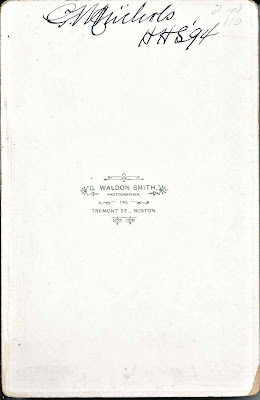 On 29 June 1899 at Havehill, Massachusetts, George Munroe Gage Nichols married Elizabeth Marsh Carleton, daughter of Robert Marsh Carleton and Kate Hyde (Olmstead) Carleton. Elizabeth was born at Whitinsville, Massachusetts, on 22 January 1877. 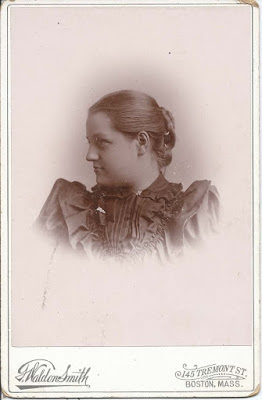 I believe the photograph, below, is of Elizabeth Carleton Marsh. 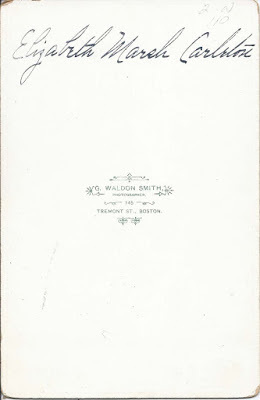 It was also taken in Boston, Massachusetts by the Waldon Smith studio. It almost seems as if the handwriting is the same on both photographs. George and Elizabeth had a daughter, Elizabeth Carleton Nichols, born 17 January 1900 at Cambridge, Massachusetts. Sadly, mother Elizabeth died, I'm assuming as a result of complications of her daughter's birth, on 19 January 1900. Fortunately, daughter Elizabeth survived. 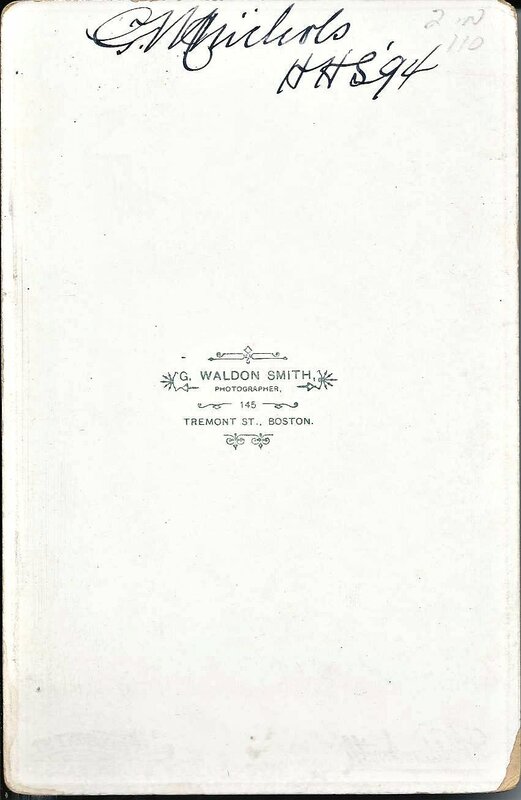 In the 1900 Census of Haverhill, Massachusetts, George and daughter Elizabeth were living with his late wife's widowed father Robert Marsh Carleton. George was working as a lawyer. On 6 September 1905 at Hampton, New Hampshire, George married Frances A. Clementine Mitchell, daughter of Isaac Lewis Mitchell and Adele Adelaide (Philbrook) Mitchell. Frances was born 23 September 1878 at Haverhill, Massachusetts. At the time of the 1910 Census, George, daughter Elizabeth Carleton Nichols, second wife Frances, and their son Monroe Nichols were still at Haverhill, Massachusetts. George was in private practice. They would have another child, a daughter Cynthia several years later. George died on 14 April 1915 after an operation. He was only 39 years old. 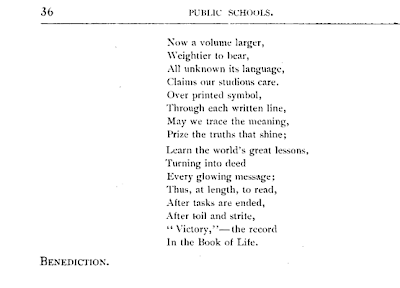 Below, an announcement of his death in 1915 Harvard Alumni Bulletin. By 1920, George's widow Frances had moved her family, including stepdaughter Elizabeth, to Andover, Massachusetts. If you have corrections and/or additions to the information above, or if you feel that George Munroe Gage Nichols is not the young man in the photograph, please leave a comment or contact me directly. Charles Howard Nichols was born 15 May 1875 at Haverhill, Massachusetts, son of George and Mary Frances (Noyes) Nichols, both Haverhill natives. On 20 June 1900 at Haverhill, Massachusetts, Charles married Grace V. Horton, daughter of John and Mary Horton. 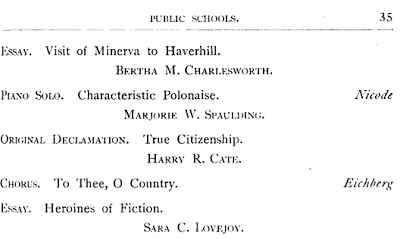 They were living at Haverhill, Massachusetts, at the time of the 1910 Census. They had at least two children, both daughters. By 1920, the family had moved to Swampscott, Massachusetts. At some point before 1930, Charles and Grace were divorced. The 1930 Census shows Charles back at Haverhill, Massachusetts. Charles worked in industry as an engineer. If you have corrections and/or additions to the information above on Charles Howard Nichols, please leave a comment or contact me directly. Thanks!